One of the fun facts about my home state of Michigan is that it produces 75% of the tart cherry crop in the United States. In fact the lovely town of Traverse City in northern Michigan is known as the Cherry Capital of the World and is host to the National Cherry Festival held every July. We love our cherries here in Michigan! One of the cherry treats that I enjoy snacking on is tortilla chips with cherry salsa. I love the combo of the sweet and spicy flavors. Sometimes I can find cherry salsa in my local stores but other times I have to buy it closer to where the actual cherry crops are being grown. This often makes cherry salsa a special treat I bring back home only if we’ve been on a little trip “up north” as we Michiganders like to say. So I finally decided to see if there was a quick way to just make my own cherry salsa so I could have this treat whenever the mood strikes me. I was happy to discover that one of the stores up north had a cherry salsa recipe online and it was super easy with no need to pit and chop lots of little cherries. The shortcut? Cherry Jam! Cherry jam isn’t always the most common flavor to find in the store. There’s usually lots of strawberry and raspberry, but not always cherry, especially if you’re not in Michigan. However one option to check out is a brand currently carried in Walmart that’s an all fruit cherry spread made with just fruit concentrate for the sweetener with no extra sugar added that works nicely in this recipe. 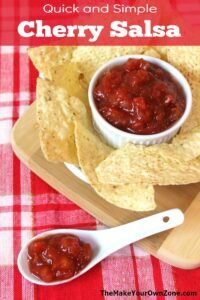 My adaptation of this homemade cherry salsa recipe is to then give myself one more shortcut and use a can of diced tomatoes with chilies which I then mix together with a half a cup of the jam. I also stir in just a bit of tomato paste as a thickener. Just these three ingredients will make a tasty salsa and you can stop there if you wish. In fact I think this is the way I like it best! However sometimes I continue on and stir in a few more ingredients too: some diced onion, minced garlic, and/or some red pepper flakes. When you make your own you can customize it to your own liking and use your creativity to add in the things that you enjoy. 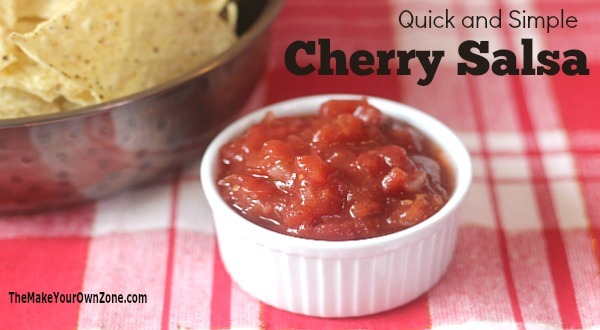 If you’ve never had cherry salsa this is a super simple way to give it a try. It’s something just a little different from an ordinary salsa that you can bring to gatherings and events too. Finally, in the midst of my cherry researching I was browsing the Cherry Republic Up North Blog and had a little chuckle when I saw these words they chose for their logo : “Life – Liberty – Beaches – Pie”. This quick and easy cherry salsa is a simple mixture of cherry jam and a can of diced tomatoes with chilies, that can be customized with more add-in's for extra flavor. 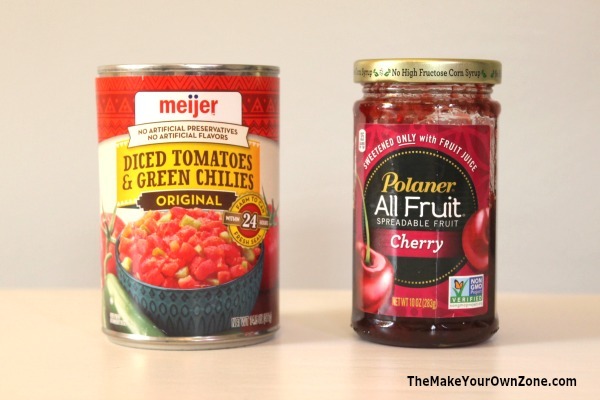 Combine the jam and the can of diced tomatoes with chilies in a mixing bowl. Then stir in the tomato paste for some extra thickening. You can also add in some diced onions or minced garlic for extra flavor. I like the amount of heat with just the diced chilies in the can of tomatoes but if you like things spicier, a pinch or two of red pepper flakes can be added as well. Keep the finished salsa in the refrigerator. 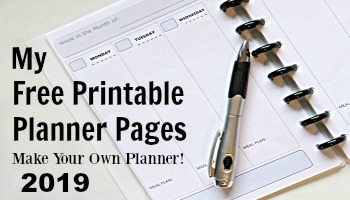 This recipes makes about 2 cups and will last in the refrigerator for a couple of weeks. Note: Leftover tomato paste after you open a can can be transferred to a small ziploc bag or other container and frozen for future use.